The Building Search Test is a comprehensive evaluation of the Team’s ability to locate a human being hiding in a closed structure. The Master Trainer will inform the handler that the test has been failed, if the Master Trainer determines that the dog is not working or that the hiding human being was not located. All testing and times will be at the discretion of the Master Trainer. The Master Trainer may also use his/her discretion to select other types of closed structures depending on availability. There will be a minimum of two (2) “clean” rooms in the test area. The suspect will be hidden ten (10) minutes prior to the test. 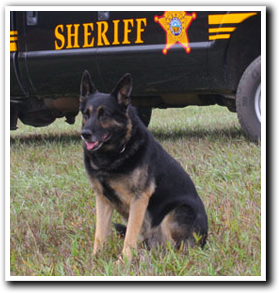 The suspect will be hidden in a place that is not visible to the K9 Team. For protection, the suspect will have a sleeve. The handler will provide equipment that is normally used on the job. The test can be preformed on or off lead. The Master Trainer will confer and accompany the handler. The handler will not open any doors and will inform the Master Trainer where the suspect is hidden. The Building Search certification will remain in effect for two years as long as a good standing member with NAPCH and the Team remains intact.